Why are beliefs and values so important to address? They affect behavior. If a dad does not believe, for example, that his involvement is as vital to his child’s well-being as the involvement of his child’s mom, he’s less likely to invest as much as he needs to in his child. That’s why the fatherhood programs and other resources of National Fatherhood Initiative® (NFI) don’t focus solely on developing pro-fathering knowledge and skills. They also focus on developing pro-fathering beliefs and attitudes as both affect what a man values generally and in his role as a dad specifically. 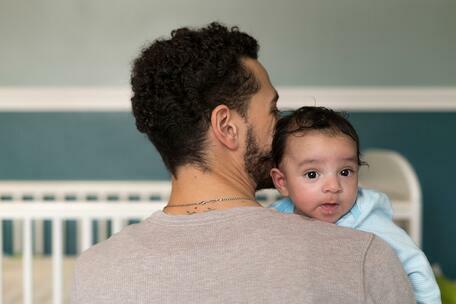 In the 24/7 Dad® A.M. and P.M. programs, for example, dads learn to break down the myth that it’s a sign of healthy masculinity to bury and not express emotions. After breaking down that myth, dads learn to value expressing emotions and how to do so in appropriate ways that don’t harm them or others.